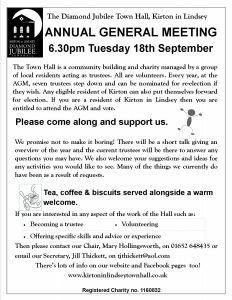 This is an important date in the governance of the Town Hall when the charity trustees give their reports for the year and the residents of Kirton can come and ask questions. 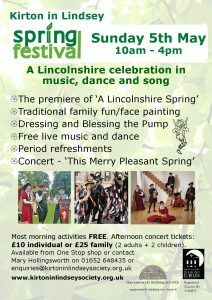 It is also an opportunity to find out more about how the Town Hall is run and to be part of the management team if you would like to get involved. We would love to see you there. Error: Error validating access token: Session has expired on Saturday, 23-Mar-19 02:32:21 PDT. The current time is Thursday, 25-Apr-19 23:07:35 PDT.